Hi there Runners! RC back again, and now that pesky intern has been sent to work mining… whatever it is they mine… on Mars, you can be sure there’ll be no more rogue capitalisation around here for the foreseeable future. Today I have a special treat for you… after Caps Lock Intern spoiled some of the surprises around System Core 2019 (that is the official title, if anyone wasn’t sure) I figure what’s better than to have our Design Lead, @crithitd20 himself come and give us the reasons behind this change. He’s allowed to give spoilers, so expect a few surprises! Hello there, Lead Designer CritHitd20 here! A question a lot of you have been asking me is “Can you add this card I made to a future set?” So I thought I would take some time to answer a slightly less popular one: “What is System Core 2019, and why is NISEI making a new Core Set so soon after the release of Revised Core?” It’s a really important question, and the decisions that led to its development involved a lot of discussion and disagreement even within NISEI. In fact I was literally the only board member in favor of another Core Set when I first brought it up back in August. Everyone’s opinion changed after playing the rough version of it though and we immediately began work on its development. We won’t be giving you the full list today; it is in its final phase of development, and we want this set to be as perfect as possible. Having said that we are thrilled to share my goals with System Core 2019 and why we all consider it so important. Why A New Core Set? Ultimately one of the core goals of NISEI is to get people interested in playing with and talking about Netrunner, and the main way to achieve that is making the metagame change. I knew I wasn’t going to have a collection of NISEI cards that players would be satisfied with in 2018; NISEI needed time for the OP and Creative teams to direct Design, Development needed time and playtesters to polish the content I was making, and I needed more quality cards designed to compliment the meta created by Kitara and Reign and Reverie. The cards that I have designed prior to Worlds 2018 aren’t what the game needs right now, and Project NISEI’s first collection of “unofficial” cards is going to have a huge impact on what player participation will look like in the future. 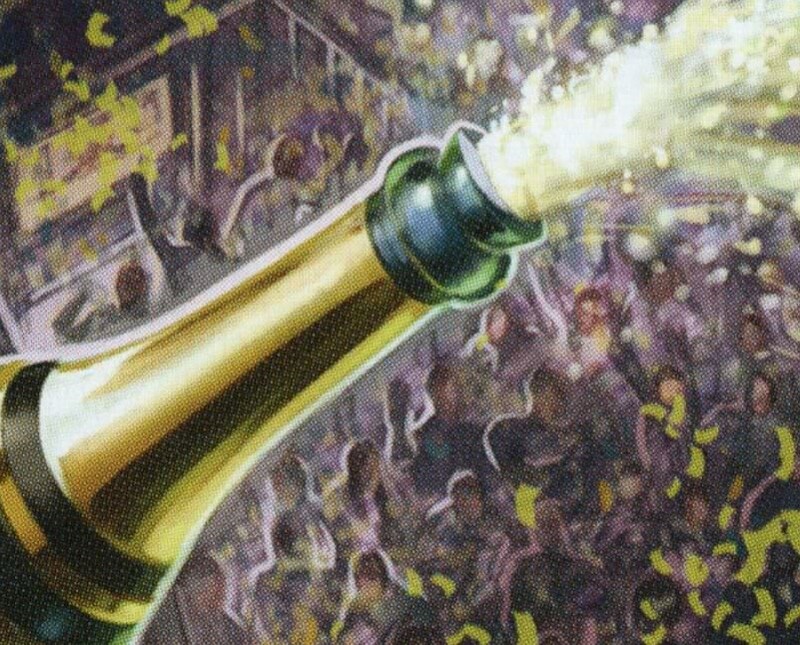 We also were very hesitant on releasing nothing until the middle of Q1 2019; I personally don’t believe that the Champ cards are enough to continue the volume of active play for several more months in the amount that the community needs right now. With that in mind, Design, Dev, and OP had one avenue to make an immediate impact on constructed play, and that was to change the legality of the existing cards in Standard. There were several methods we could have employed to achieve this goal, but one factor that influenced our opinions was our mutual desire to continue rotation. A lot of players felt that rotation should have been more aggressive and consistent than it was under FFG, though that presents new issues. Cards constantly rotating means constantly having to print cards that fill the gaps left by flagship cards, and constantly pressures design to retread old ground from those losses. Every set gains an increased focus on exploring existing and already-successful design space. One of the silver linings to FFG’s license ending is actually that we have much more freedom in addressing these problems; given that the cost of playing Netrunner is now negligible, we can take actions that devalue “investments” in cards without worry, especially since those cards can be reprinted again in future Standard formats or can be played in Eternal without negatively affecting players’ wallets/expectations. We can always make the decision that most improves the quality of the game for its players. 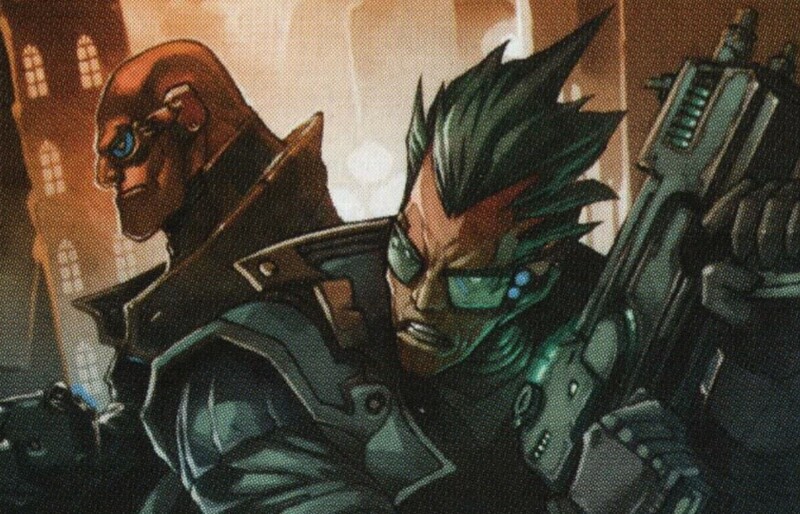 This brings up an important question; if we are going to base the future of Netrunner around rotation, does a static Core Set make the most sense moving forward? A rotating Core Set actually affords Design and OP a ton of freedom in both addressing existing issues in the card pool as well as in allowing Development and OP ways to excite players without the use of new cards. Bringing back old favorites or saving soon-to-be rotated cards is possible if we update the Core Set with major rotation milestones, and is consistent in how the Revised Core Set was used to address the very first rotation. As long as we continue to focus on the Core Set as an excellent standalone experience and the premiere way to teach new players, a rotating Core Set ends up offering players a lot. I know many of us love the Revised Core set, myself included, but once you play with this new core set and start experimenting in the new meta, I really hope that you agree with me when I say that it is easily my favorite standalone Netrunner experience to date. What Is This Core Set’s Goal? I had a few goals when beginning work on System Core 2019. One was to invigorate the meta with powerful cards that had rotated with the advent of Revised Core, while at the same time not making the meta all about those cards. While the current card pool is particularly vulnerable to specific powerful interactions that prevent me from reprinting some of the truly classic classics (Medium/Parasite + Contaminate/Knobkierie, Desperado + Crowdfunding, SSCG + Amani + CtM, Scorched Earth + HPT to name a few), there were quite a few cards from pre-Lunar that I was thrilled to play with alongside the most recent additions to the cardpool. I consider the current meta to be great right now, as is the Revised Core set, and introducing truly sweeping changes isn’t what we need right now. The other main goal was to prepare for the rotation of Lunar and SanSan, which will be the next two cycles to rotate when NISEI’s first fully fan-made set releases. Some of the cards didn’t make sense redesigning, and so they have been preserved. The number of cards being saved from these sets is smaller than Revised Core, and this is not due to lowered quality of card designs, but rather because at that point in time FFG’s designers had hit their stride and were making some incredibly powerful cards that, while I love, don’t define the game’s base power level in the way that the early cards did. Having said that there are a few cards that I consider absolutely perfect in effect and power level (Earthrise Hotel and Crisium Grid come to mind), and I’m very glad that System Core 2019 can keep them in the game for at least another term. 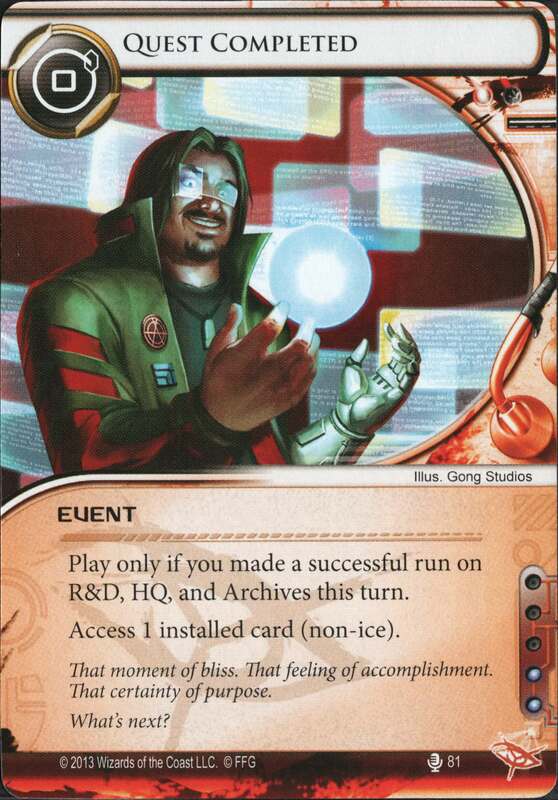 I think what we’ve collectively created is a stellar collection of cards; one that could only exist thanks to the freedoms that Project NISEI has in exploring all of Netrunner’s card pool and enabling its playerbase to participate without financial strain. Let’s explore some of what you’ll be sleeving up! 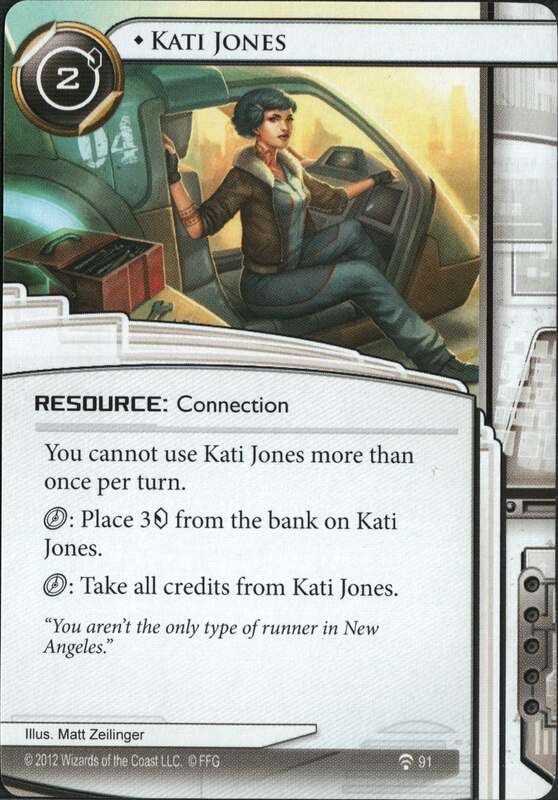 When making a list of cards we wanted to bring back to Netrunner, the first that came to mind was Kati Jones. Kati was a staple of play for the first two years of competitive Netrunner, and while she may not be a Moose, she still presents an opportunity to competitively shine as well as teach players about effective management of clicks. The tension of having to stockpile credits for a long time and being vulnerable during that period is something I love about gameplay with Kati Jones: consider that it takes 6 clicks (an install, four charges, and one gain) with Kati for her to be more efficient than just installing Armitage and clicking it. When Kati is good, she’s great, but she is bad against rush play and is vulnerable by merit of being a resource and a connection. These two subtypes ended up serving as the backbone of this Core Set’s play. With Kati Jones in everyone’s starting deck, all runner factions have the tools to contest a corp’s endgame, but at the same time the corp gains some devious ways of disrupting such a powerful economic tool. Paper Trail, Contract Killer, and the various tagging tools at NBN’s disposal are available to punish players that lean too hard on sitting back or who end up running too aggressively and using Kati as a failsafe. Finally, value SEA Source can be the correct play in a Core Set! The tension produced from Kati’s economic engine vs. the corp’s resource trashing tools is an absolute blast that fully utilizes Netrunner’s classic bluffing mechanics on a high level that I haven’t seen in an introductory product before; I’ve had games where I wasted an action unloading a Kati for fear of an uncontestable Contract Killer, only to let my opponent overadvance an Atlas, and I’ve had games where my opponent slammed a Priority Requisition behind a Data Raven, forcing me to consider if I was capable of operating without Kati for a good chunk of the game. The concept of tags being an important means of punishing the runner from continuing to set up their board led to several other high-value Neutral resources being added to the Core Set. All runners can help set up their rigs while applying pressure thanks to the card draw provided by Earthrise Hotel and returning hacker John Masanori. John in particular adds more of that back-and-forth tension I love in play; he’s very strong when you’re ahead, but when the corp starts trying to score he suddenly becomes a liability should you not have your rig fully installed. All of this contributes to a game where both runner and corp are regularly presented with the concept of tags as a real punishment that won’t immediately end a game, and using the “Trash a resource” basic action can be one clearly worth pursuing even on an introductory level. While all of the runner IDs from Revised Core are a lot of fun, on the corp side we were pretty dissatisfied with the existing offerings. They were easy to learn, absolutely, but they weren’t very fun for us personally to play with. Personally I was frustrated that runners could click through my buffed bioroids, that I didn’t make enough traces, and I didn’t have enough transactions for my ID ability to be meritable (PE is perfect in every way though). For a while we swapped to a whole new series of IDs save for Gabe and PE, but we found in testing that players were really disappointed to lose the Revised Core IDs. This actually ended up introducing a feature to this Core Set that has been awesome for the Core meta: optional advanced IDs. Each faction’s card pool is designed for use with TWO different IDs; one is the Revised Core ID, and the other is a more complex ID that utilizes the same cards in a different and exciting way. 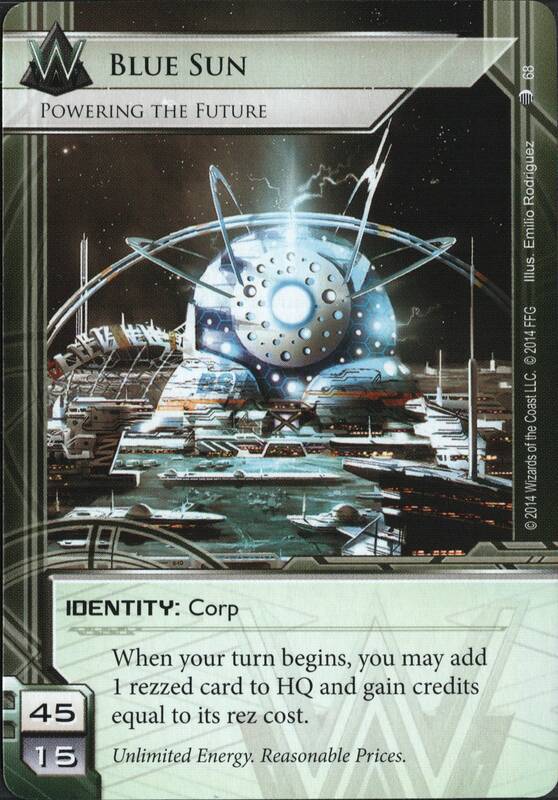 For instance, once you feel comfortable with the powerful economy and ice Weyland’s Building a Better World has to offer and want to start deckbuilding, you’re welcome to move onto the advanced ID of Blue Sun! Suddenly your Hadrian’s Wall is much less of a liability to rez, and you gain cool new functionality for your Project Junebugs or Adonis Campaigns! We really want players to be able to express themselves through deckbuilding in this Core Set, and I think the alternate IDs are one of the many ways we have achieved that goal. You are welcome to allow them in your playgroup or just use the Revised Core IDs as your playgroup deems appropriate; I encourage using them once you’ve gotten a few games under your belt and are ready to try out some more complex strategies! What Other Reprints Will We See? Well, as much as I’d like to, I can’t give away the whole thing right now. I know what I want to see return, but ultimately I need complete confidence from the MWL team that we are creating a card pool that is totally healthy for the game. A few cards that we absolutely refuse to remove right now are Corroder (it’s binary but it’s in a great place right now, power-wise), Blue Level Clearance (one last hurrah with Jeeves! ), and Crisium Grid (perfect effect tied to perfect numbers). Having said that, there are many other exciting returns I can’t wait to share with you on November 16th. Some players have expressed concern over seeing Dirty Laundry in the Core Set from a leaked image by our OP Manager, and I’d like to take a moment to address that. We intend to slowly take action against deluxe expansions over time, but this is purely due to the fact that they bloat the card pool and some of their inclusions (Cerebral Imaging, looking at you) don’t really make sense staying in the game forever. With that being said, we have one other means of reintroducing a small number of cards back to the game that I look forward to sharing with you, but you’ll have to wait until the rest of The Board gives me the OK to discuss it. There is also a very small number of cards here that aren’t at risk of rotating at all, and simply fill a role that nothing else does as effectively, such as Paragon. These cards are here for the sake of the quality of experience playing exclusively with the Core Set. We want games to be fun and dynamic, and for players to learn how to improve as guided by the card pool; powerful cards that teach good lessons are important for that experience. NISEI is committed to releasing experiential products, and System Core 2019 fits into that mission in the way that our future releases will. I’m really excited to see what people end up making with the contents of System Core 2019, and am already looking forward to the next Core Set (hopefully by then the cards from NISEI will give us the chance to reprint even more cool cards that players love!). I can honestly say we have made something really special, and this is from someone who invested hundreds of games into testing the Revised Core Set for FFG back in 2016. We genuinely have spent time on the team playing with this set simply for the enjoyment of the games, and love how classic the risk/reward dynamic feels. 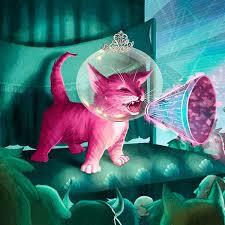 It’s just what you’d expect from Netrunner, filled with bluffing, misdirection, risks, and power plays. …ok one personal story and scoop before I go. Only One Copy of a Card? Even within my own testing team I’ve had various players question the inclusion of cards as 1x or 2x as opposed to letting players use 3 copies of everything from the get-go. After all, this is not a purchasable product, so the original reason for limiting card quantity is gone. Well, my experiences in a Core-only meta has shown me just how rewarding environments with restrictions can actually be. A card that could be disastrously powerful as a 3x in a low-power environment can be fun and interesting if it happens only once a game. On the other hand, some cards only make sense as a 1x and allowing new players free access to those cards could easily lead to some very erroneous deckbuilding decisions. Quest Completed is an example of the latter. It’s extremely fun to play with, but narrow in functionality to the point that it only makes sense as a card that shows up sparingly in play should your deck not be built around it. I have some incredibly fond memories of playing Quest Completed back when I first purchased Honor and Profit. As a player with a small collection, it seemed like a no-brainer means of accessing agendas using the cool new central-server breakers I now owned. While new players can now use NISEI’s proxy policy to play with whatever cards they want (and don’t have to rely on the atrocious Alias I did), Quest Completed is still incredibly fun, and more relevant than ever in a world of Jinja City Grids and Border Controls. For Anarch runners unable to invest influence into supporting Apocalypse, for players that want to experiment with some cool Omar shenanigans, or for players looking to impose fun deckbuilding challenges upon themselves, I think they will find Quest Completed a worthy addition to their arsenal of tricks.